by Nan Jacques Zilberdik and Maurice Hirsch, Adv. 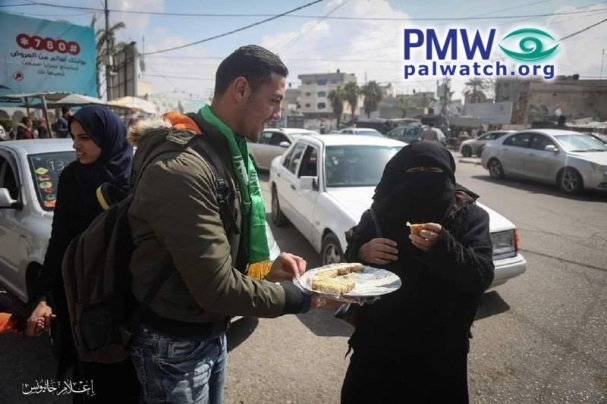 Spokesman of the PA Security Forces adamantly denies having condemned attack, Hamas claims he called the attack "a crime"
“Official Spokesman of the [PA] Security Forces... Adnan Al-Damiri denied that he gave any statement regarding the operation that was carried out today [March 17, 2019] in the Salfit district. He said that there is no basis to the statements that one of the media outlets that is subordinate to Hamas attributed to him. Omar Abu Laila, 19, from the town of Al-Zawiya in western Salfit. 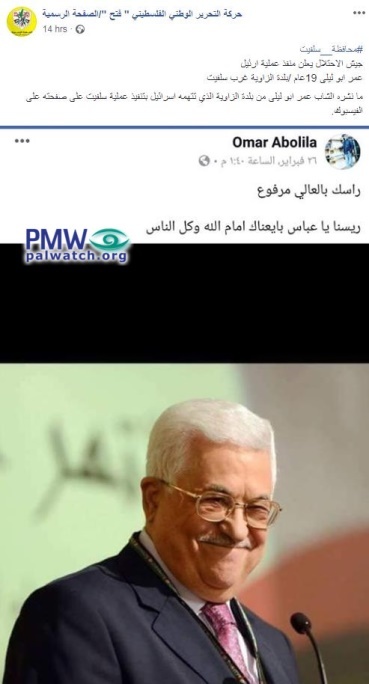 “Official Spokesman of the [PA] Security Forces and General Political Commissioner [of the PLO Political and National Guidance Authority] Adnan Al-Damiri denied that he gave any statement regarding the operation (i.e., terror attack committed by terrorist Omar Abu Laila, 2 murdered; see note below) that was carried out today [March 17, 2019] in the Salfit district. He said that there is no basis to the statements that one of the media outlets that is subordinate to Hamas attributed to him. Omar Abu Laila - Palestinian terrorist who stabbed Israeli soldier Gal Keidan, stole his weapon, and shot and murdered him at Ariel Junction on March 17, 2019. Abu Laila then shot at passersby killing Rabbi Achiad Ettinger, and stole the car of a civilian who had fled the scene, which he drove to Gitai Avishar Junction, west of Ariel, where he shot and seriously wounded another Israeli. The terrorist has not been caught as of March 18, 2019. Adnan Al-Damiri also holds the position of General Political Commissioner of the PLO Political and National Guidance Authority. 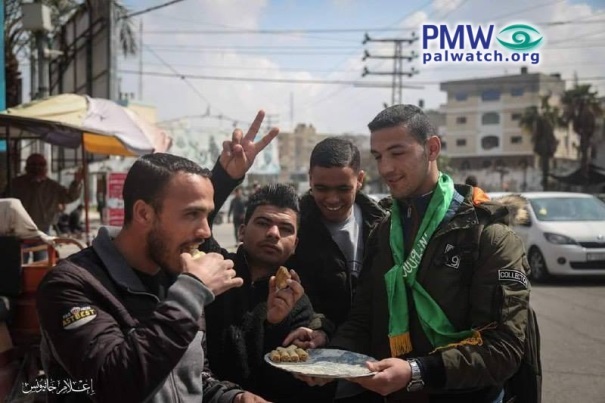 “Young people distributed sweets this morning (Sunday) [March 17, 2019] in the streets in various areas of the Gaza Strip, out of joy over the operation (i.e., terror attack) in which 2 (sic., 1 at the time this was published) Israelis were killed and two others were wounded (attack committed by terrorist Omar Abu Laila; see note below -Ed.). From the early morning hours and after the operation was carried out, the mosques of Gaza broke out into calls of Allahu Akbar (i.e., “Allah is greatest”) and ‘There is no God other than Allah.’ Young people distributed sweets in the streets to citizens who expressed their great joy over the operation, particularly in light of the fact that it took place after the latest Israeli aggression against the Gaza Strip (refers to Israeli retaliatory airstrikes after terrorists in Gaza fired two rockets at Tel Aviv on March 14, 2019 -Ed.). 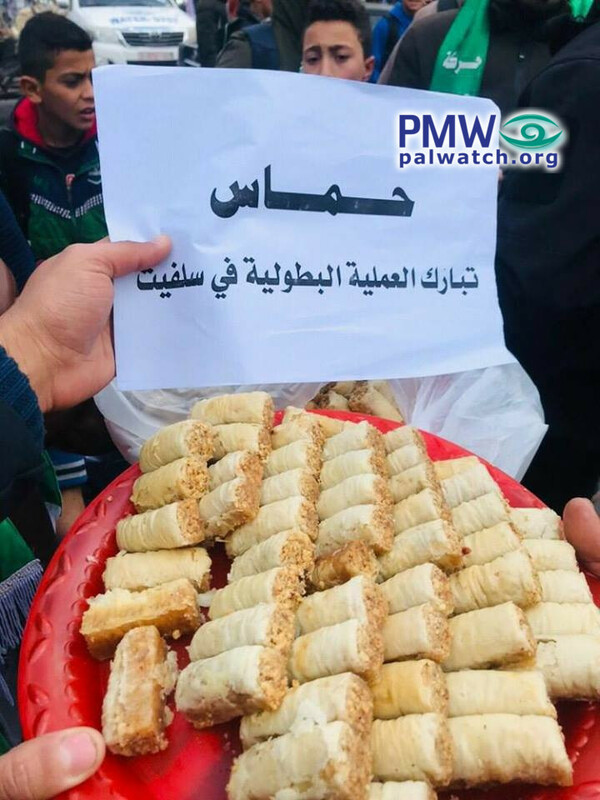 The article includes pictures of sweets being distributed in the streets of Gaza. In one of the pictures, a plate of sweets is presented with a sign held above it.